Find out the answers to these questions and more this spring at UC Berkeley Extension, where I'll be teaching a weekly evening course titled 'Principles of Green Purchasing and Sustainability". It runs from Tuesday March 29 - Tuesday May 31 2011 at the San Francisco campus. 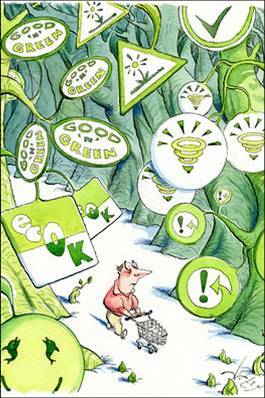 Click here to sign up now to gain valuable expertise in green purchasing. Tell your friends and peers about this class (use the 'share' button below). Thank you so much -- you're the best! Join scientist and sustainability expert Jonathan L. Gelbard, Ph.D., as he explores the connections between choices made in the office and the health of ecosystems and people. Hear stories about how businesses are learning to boost profits and productivity by using and selling green products. Gain valuable tips on how to identify the products, partners, and certifications that can help your company achieve measurable positive impacts and advance the green economy. Jonathan L. Gelbard, Ph.D., principal at Conservation Value, Inc., is a researcher, writer, speaker, and educator. He has taught at the World Wildlife Fund’s Climate Camp workshops; appeared in the 2009 urban forest documentary, Dig It; and served as an educational producer for some of America’s largest green music festivals.